Welcome to the online home of the Hemsworth & District Clay Pigeon Club. Our club holds a section 11(6) Dispensation Certificate, this enables people without shotgun certificates to shoot with us, and we have dedicated, experienced people who will give you guidance on how to shoot safely. Our club was formed in June 1954 by a group of local shooters, each founder member made a contribution to the cost of setting up the club. The aim of the founding members was to provide a permanent venue for clay target shooting, and to provide this at a reasonable cost to members and guests alike. We have successfully adhered to these principles, and over the 60 years that our club has operated safety has been our first priority – so at our club we have two BASC accredited safety officers. 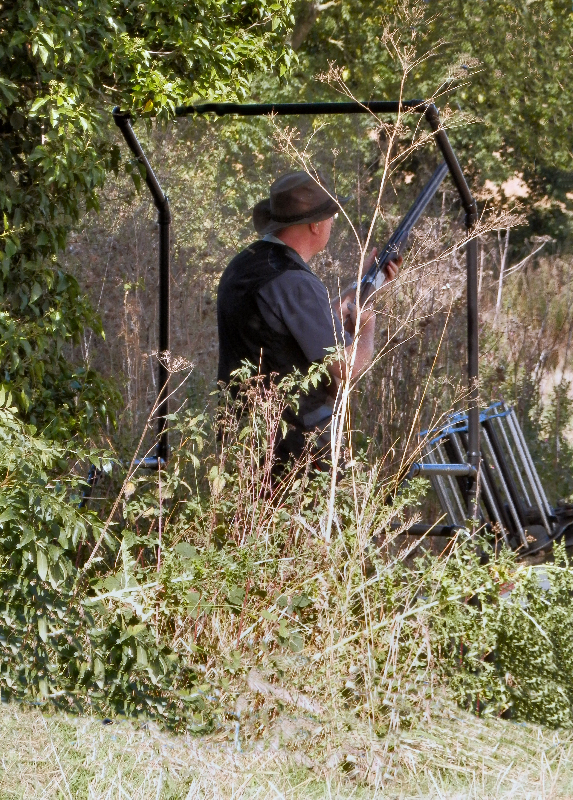 We hope that you will find our shooting ground a friendly environment, one with a deliberate policy of extending a warm welcome to all who visit us. All our traps are fully automatic and well maintained, Sporting layouts are highly popular within our club, and are usually well attended, but we still manage to feature the occasional trap discipline for the enjoyment of our members and guests, as our traps are removed and stored at the end of each shoot, you will find that the layout has been changed in some way every time you visit. Our shooting ground at Stubbs Hall Farm, is situated on open farmland close to Doncaster. It is accessible from the A638 Doncaster to Wakefield road at Hampole, which is approximately 1 mile from the A1 at junction 38, from the A1 take the A638 following the sign for Wakefield, the farm is the first collection of buildings on the left, turn in at the “Fishing Lakes sign”. From the Wakefield direction, carry on past the large Industrial Estate at South Elmsall, the farm is the first collection of buildings on the right, turn in at the “Fishing Lakes sign”. The shooting sessions are held Sunday mornings from 10.00 until 12.00.